We can take advantage of the flaws that run across our current data landscape in order to investigate corruption and abuse of power. 'Follow the money' is a tool that is increasingly used and referenced as a method to expose corruption. It utilises publicly available information contained within databases, company ownership or real estate registrations, to name a few, in order to trace money back to its original source. Radu's work is explored in the film series Exposing the Invisible. The first episode follows Radu and his colleagues as they unveil corruption across borders from Romania to the presidential family in Azerbaijan. Exposing the Invisible is a collection of short films, resources and tools that offer up the personal stories of those working at the frontiers of investigation. "Our Currency is Information", Tactical Technology Collective. 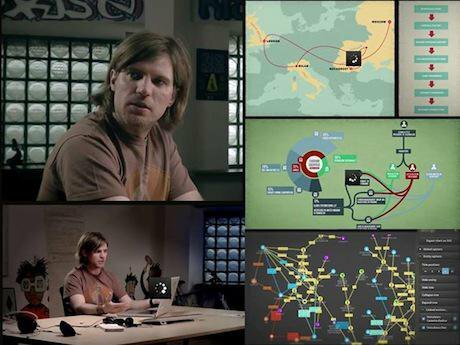 Some rights reserved.The Exposing the Invisible project is the work of the Tactical Technology Collective, an international NGO based in Berlin. Since 2003 Tactical Tech has been tapping into an international network of partners and collaborators to help rights, accountability and transparency advocates and the communities they work with to use information and digital technologies effectively. Exposing the Invisible explores how new types of actors, artists, data journalists, programmers, researchers and activists, are able to work together to identify new strands of evidence available in the public sphere. The digital age has profoundly transformed the way people find and share information. “I would say that maybe a little bit more than 95 percent of the information we use and represent on our websites and in our investigative articles is public information,” Radu tells us. This public information can be anything from international databases, public registries and archives to social media, satellite imagery and metadata. Data surrounds our interactions with each other both online and offline. It is relentlessly collected on both individual and societal levels. Rather than seeing this as wholly negative, Exposing the Invisible takes advantage of the flaws that run across the current data landscape. People of interest also leave traces behind and have their own digital shadows. Exposing the Invisible attempts to help activists navigate this new environment and offers a range of resources, tools and methodology for them to conduct their own investigations and also manage and mitigate the risks involved in this type of work. 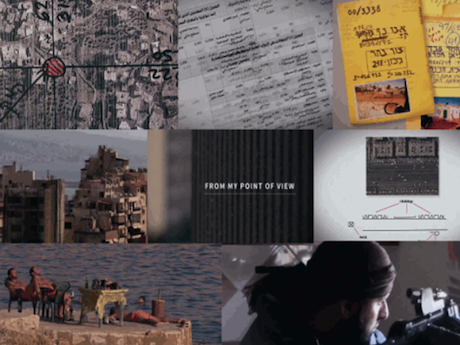 Exposing the Invisible’s second episode, “From My Point of View”, profiles three 'investigators-in-the-making' investigating issues ranging from weapon supply routes in Syria, urban land-grabbing in post-conflict Beirut and how DIY aerial mapping can expose and challenge power relations in east Jerusalem. From My Point Of View (Exposing the Invisible) from Tactical Technology Collective on Vimeo. For one of these investigators – the UK-based blogger Eliot Higgins (aka Brown Moses) – what began as a hobby led to detailed expertise on the arms being used in Syria. Disillusioned with mass media coverage of the conflict and the undervaluing of citizen journalism, his painstaking analysis of the thousands of YouTube videos coming out of Syria since the civil war broke out picks out the details too often missed by others. The rise of social media has opened up a vast set of new resources for reporters to exploit, with three days’ worth of video uploaded to YouTube every minute. In “From My Point of View”, Higgins takes us through the tools and processes he uses to gain insight from video footage, ranging from weather websites to googling photos taken by enthusiasts at military shows, and highlights the importance of verification in establishing himself as a reliable, neutral source amid a sea of partisan online point-scoring. 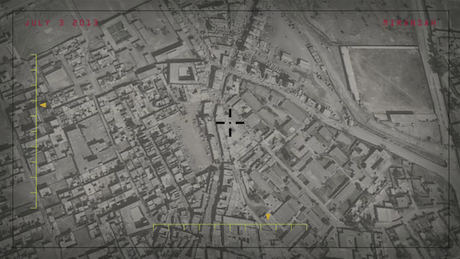 In the final episode, “Unseen War”, we explore the physical, moral and political invisibility of US drone strikes in Pakistan. By speaking to journalists, activists and experts inside and outside of Pakistan, the film looks at the consequences of the strikes in the tribal FATA region and how the issue can be made more visible by using data and visualisation tactics. “Unseen War” takes a complicated, multi-faceted issue and works to come at it from a different angle – the deployment of artistic techniques, for example – in order to move drones from an invisible zone into something more tangible. Unseen War (Exposing the Invisible) from Tactical Technology Collective on Vimeo. Our films are licensed under a creative commons license and are available online to either stream or download. Since they were released last year over 4,000 people have attended 131 screenings that have been organised by volunteers all over the world. These screenings have ranged from film festivals in Spain to smaller groups gathering around a projector. “Unseen War” has been aired on Pakistani Cable TV and watched by a reported 1.6 million viewers. "Exposing the Invisible", Tactical Technology Collective. Some rights reserved.Our films feature political actors leading investigations rather than trained investigators with resources and capacity at their disposal. We follow individuals who use creative, often low-tech methods. Hagit, an Israeli activist who is fighting government demolitions of Palestinian homes in east Jerusalem, works to help families stitch together new narratives that challenge government impunity. She uses community-based, free and open source tools and low-cost tactics to bypass governmental and corporate control over geo-spatial information that shapes society’s view of urban space. Challenging constructs of invisibility is not only difficult, but at times risky. Security is an essential part of this work, not only for the risks you accept but also because those you work with are also then put at risk. We are currently working on integrated digital security training within the investigation workshops that we carry out. Integrated security is the idea that you should adopt good security practices from the beginning and throughout the process, rather than as an afterthought. Activists must assume that their work will be visibly successful and prepare for the security risks that this will undoubtedly bring. This builds off one of Tactical Tech's largest projects, "Security in-a-box", a freely available toolkit that is available in 16 languages and offers human rights activists tools and tactics to increase their security online. "From my Point of View", Tactical Technology Collective. Some rights reserved.Exposing the Invisible covers similar built-in practices for dealing with questions of validation and verification when working with digital visual evidence. Due to the rise of digital technologies for both the creation and publication of visual evidence, there are a number of questions raised from using these tools and user-generated content for investigation purposes. Exposing the Invisible showcases the tools and resources that can be used to help others think about verification and how to cross-reference publicly available information. These tools can range from "WHOIS", a domain name database where you can search for details on who has registered a particular domain, through to "The Verification Handbook", a free “definitive guide to verifying digital content for emergency coverage”. With an eye to the future, at Tactical Tech we have a number of questions that we intend to answer. What is the data environment that makes this use of publicly available data possible? What part do we play in it? What are the systems that are perpetuating knowledge inequality? We want to dig deeper into the abuse of power between public and private partnerships within this data society. And we will focus on the environment that enables these abuses to occur and the role you have within it. In early 2016 we will release new films alongside an exhibition on the “Politics of Data” which we are co-producing with Haus der Kulturen der Welt.